Hey, Beauty! 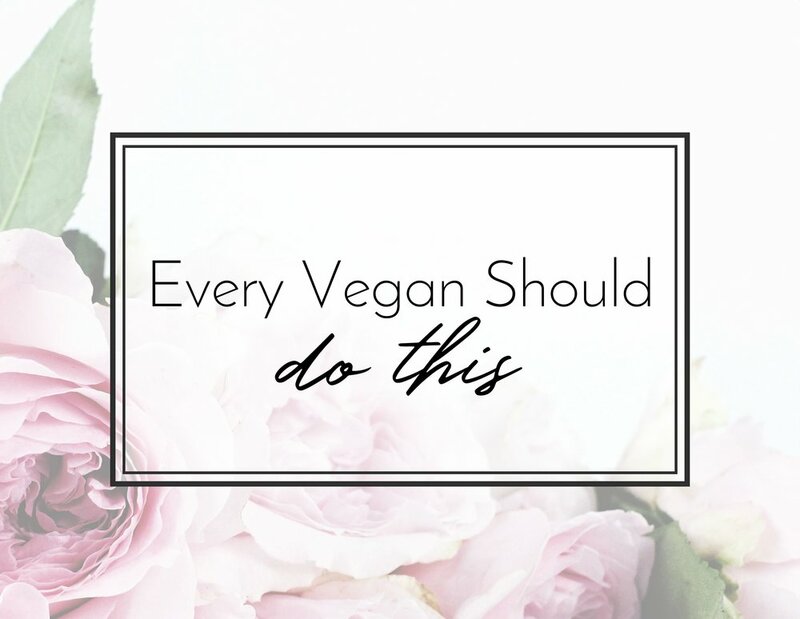 Reading the post title you probably wonder what is this thing, which every vegan should do. I know this looks like a click bait and I was a bit hesitant if I should use this particular title… But it’s not a click bait and I am not even exaggerating. For real - every vegan (and in fact person) should do this thing at least once a year. What I am talking about is blood testing. I know this may sound uncomfortable and even scary to some of you, but it is necessary. Especially during transitioning to the vegan lifestyle and during the first couple of years, while you are getting the hang of your new diet. And if I am being honest… You should do blood testing every year! Because, when it comes to health - prevention is everything and I bet you will all agree with me. I am partnering with HealthLabs.com for today’s post, who reached out to me to introduce me to their Vegan Testing Panels, which are unique and the first of their kind. Now, I am not someone who enjoys to talk about blood and needles, but as I said… this thing is important! I often say that you can be (un)healthy on any diet, and just because you are vegan that doesn’t automatically mean that you’ll be healthy. I truly believe that the whole-food, plant-based lifestyle is the healthiest for our species, however it takes some effort and time to adjust to it. And it’s not always an easy task to do - it took me quite a few trials and errors to get it right. You can read more about my journey here. HealthLabs.com offers fast, private and affordable lab testing that can be ordered from the convenience of your home. They work with more than 4500 trusted CLIA-certified laboratories located across the US and provide you with more than 500 options of blood and urine lab tests. What is a Vegan Testing Panel? The Vegan Testing Panels offered by HealthLabs.com are testing packages created specifically for vegans and people who consider adopting the plant-based diet. There are two main testing options - one for vegans (Vegan Nutritional Maintenance Panel) and one for non-vegan (Should I Be Vegan? Panels). The Vegan Nutritional Maintenance Panel is the one I got particularly excited about, because it’s the one that I would use and the one that I can benefit from. The panel is designed to detect 11 of the most common nutrient deficiency that are found among vegans. This includes B12, Calcium, Iron, Zinc, Folic Acid, Complete Blood Count and more. The full list and detailed information about the Vegan Maintenance Panel you can find here. Why we need regular blood testing? You can (and will) benefit from regular blood testing, regardless of your diet, lifestyle and eating habits. When you are vegan however, or if you recently transitioned to this lifestyle there are lots of things you have to learn and adjust to in order to ensure that you receive all the nutrients your body requires. Some nutrient deficiency as B12 for example can cause significant damages to our health and bodies over time and the sooner we localize the problem (if such occurs) the better. Receive your results in the next 1 to 3 days from having your test done. And that’s it! No doctor referrals are needed, you don't have to make an appointment with the lab prior to your visit and you don’t have to waste time in the traffic for getting your results, because you will receive them in your very own online profile. As I already mentioned you can order your test online at HealthLabs.com and then you can choose one of the 4500+ labs they are working with across the US. The price of the Vegan Nutritional Maintenance Panel is $149 at the moment. However HealthLabs.com were so generous to offer me a PROMO CODE that I can share with you and which gives you 25% discount. Furthermore they have 110% Price Guarantee policy, which means that if you find the exact same test at a lower price they will match their competitor’s price and will give you 10% off. The reason why I am so hyped up about those Vegan Testing Panels and why I am sharing all this with you anyway is because this is a huge step in the right direction. Having your blood testing done is super important and in my opinion it has to be convenient, affordable and available to everyone. Couple of years ago I had to wait more than 3 months to get my blood test done - 3 months, people! Can you imagine? It’s good that I didn’t have any deficiency, but what if I did? That's not cool and in fact is dangerous! Skipping your doctor and going straight to the lab, is not always an option either. And even if it is, ordering individual tests can be crazy expensive. That’s why having this Vegan Testing Panel is such a big deal to me. Oh and by the way, protein deficiency is still not an issue for me and my doctor called me an Iron Woman, when she saw my Iron levels, so it’s all good here. I’ll keep on my vegan lifestyle! How often you are doing regular check ups? I Don't Wanna Be Normal Anymore! I wanna Be a Vegan!